If we don’t save frugality, who will?? #1. To remove water marks from furniture, use several drops of spirits of camphor on damp cloth and rub over mark. #6. An emergency ice bag can be made by folding a wet towel and freezing in an ice cube tray. Put frozen towel in a plastic bag and tie end shut. #11. Keep your shower cap pinned to the inside of your shower curtain with a small plastic clothes pin. It will drip in the tub and always be there to use again. #17. Run hard candy through a food chopper and sprinkle it on ice cream or frosted cakes. A joy to see and eat. #21. If you are remodeling your basement, don’t throw away left over moldings. Some shapes make very attractive picture frames. #29. Cut the bristles of an old toothbrush down to 3/8″ and you have a good fingernail brush. #33. Fresh vegetable salads of all kinds are greatly improved by adding a little lemon juice. #47. Squeaky floor boards can usually be stopped by pouring hot melted soap in the crack. #66. Peanut butter mixed with honey and raisins make an ideal sandwich. #68. Removing rust spots from metal tools can be done safely and easily with a typewriter eraser. #70. Temporary counter space in a kitchen can be provided if you pull a drawer out part way and put a cookie sheet on it. #71. A belt to match any dress can be easily made by folding material over an old belt and fastening the center on the underneath side with iron-on tape. #79. Don’t throw away that old large hand bag. It makes a good first aid, sewing or what-not kit to carry in your car trunk for emergencies. #83. If you have trouble threading a needle, push it through a piece of white paper; the white background will help you see the eye better. #89. A periodic wiping with a cloth dipped in turpentine, of the tile and shower stall in the bathroom, will renew its look. #94. Too many shoes on the floor, fasten a curtain rod to the inside of your closet door and hang them by their heels. #100. Dental floss is ideal for sewing on buttons. It’s stronger and will last longer than thread. #108. Green leaves on the outside of lettuce contain more vitamins than the inside ones, so don’t throw away more than necessary. #113. When reading and mixing from an open recipe book, place a piece of clear glass or plastic over it to keep it clean. #119. Left over scraps of floor tile or linoleum can easily be made into very nice coasters for beverage glasses. #125. If the canary refuses to use his bath bowl, put a little sand in the bottom of the bowl. He may be afraid of the slippery bottom. #127. Iodine will cover a scratch in mahogany furniture just fine. #137. If the wire in your cheese cutter breaks, you can replace it with a wire violin or music string. #144. If you need a bed tray, some ironing boards make a good substitute. #149. Melted marshmallows make ideal toppings for cup cakes. Ten minutes before the cup cakes are finished baking, pace a marshmallow on top of each cake. When finished baking, they are covered with a delicious topping. #156. Seldom used luggage is a good place to store blankets, if short on storage space. #161. You can mend small tears in many curtains, by merely applying colorless nail polish. #162. To keep plants fresh when you are away, stand them on bricks covered with water in your bath tub. The bricks will absorb enough water to keep the plants moist. #180. A mason jar of ice cubes, if packed with your picnic lunch, will keep it cool and tasty. When ice cubes melt, you have a jar of good drinking water. #185. Grapefruit seeds if planted thickly in rich earth about half inch deep and kept well watered, will sprout into a beautiful green center piece in about two weeks. #193. Bake potatoes in a muffin pan. The potatoes will not move around and will be easy to remove from oven. #201. Those small clear glass jars with screw tops are invaluable for holding nails, tacks, screws, bolts, herbs, spices or what-have-you. If you nail the lids to the underside of shelves, they are out of the way, easy to reach and easy to see. #221. Your house key will be easy to locate in your handbag if you tie it to a cord and the other end of the cord to the top of your handbag. Just fish it out. #223. A finger cut from an old rubber glove and slipped over the top of your broom or mop handle will keep it from falling when leaned against the wall. #236. For a special occasion cake, stick short pieces of macaroni into icing as vases to hold tiny flowers. #252. A small amount of vinegar in your dishwasher will protect hands and make dishes sparkle. #260. Envelopes attached to the inside of drawers with thumb tacks or scotch tape will hold many small items and keep the items easy to locate. #278. Pieces of maraschino cherries, oranges, grapefruit, etc. frozen in your ice cubes will add color to your iced drinks. #281: Store your folding summer chairs in the garment bags you get from your cleaner. It will keep them clean and dust free. #284. When hanging a picture, mark the spot for the nail with a moistened finger; the spot will stay until you drive in the nail. #286. You can keep neckties unwrinkled when traveling if you pack them between the pages of a magazine. #291. To use the last bit of ketchup from a bottle, why not pour in a quantity of oil and vinegar and make a delicious salad dressing. #293. If your medicine cabinet or shower has sliding that stick, just rub a little soap on the slides. #299. Put a cup hook near your sink to hold your rings when washing dishes. This habit may save a precious stone from coming loose and going down the drain. #303. Ivy leaves make unusual and attractive place setting cards for your dinner table. Write names on leaves with white ink. Not too bad, right?? Anyone already doing any of these? Anyone find some good ones they think they’ll try out? 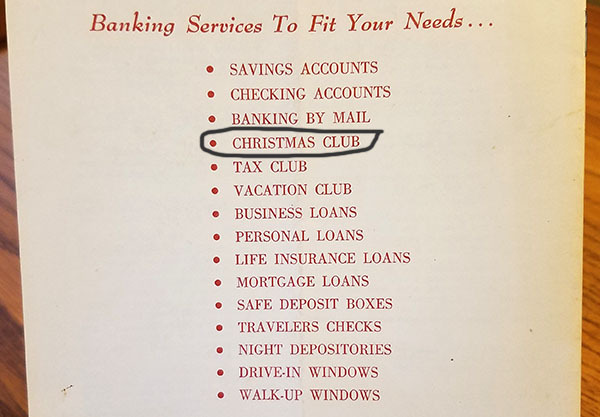 The Christmas club is a savings program that was first offered by various banks and credit unions in the United States beginning in the first half of the 20th century, and including the Great Depression. 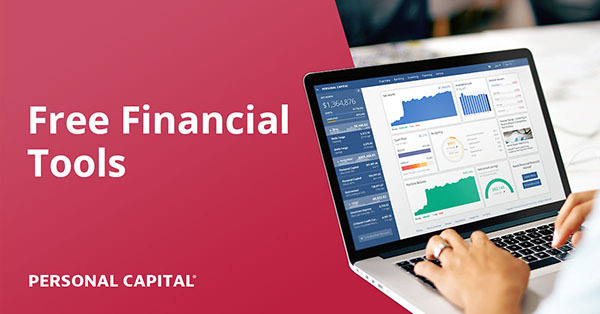 The concept is that bank customers deposit a set amount of money each week into a special savings account, and receive the money back at the end of the year for Christmas shopping. Might make for a great companion piece? 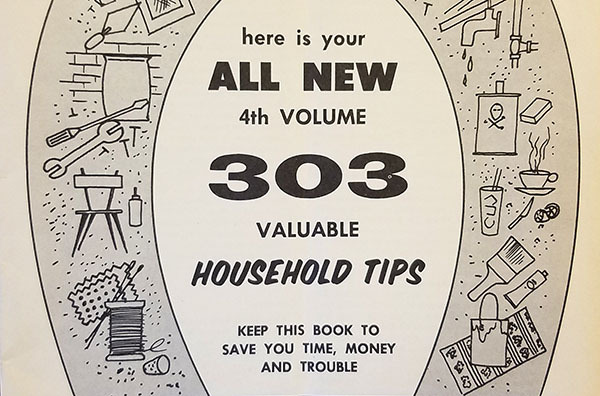 But yeah – big ups to Morgan H. Wilt who published this pamphlet for us over half a century ago… Your work lives on good sir/madam – even in the digital age!! UPDATE: Want to go back in time even more? Check out these lessons of thrift from 1875 I plucked out of another fantastic resource a few years back ;) Gotta love how relevant it all still is! Can’t say I’ll ever need the shower cap hack, but #94, the curtain rod/shoe storage idea is brilliant. Morgan H. Wilt might be the OG of life hacks. Really cool find, not sure how you do it, but you always fight the coolest stuff. Thanks for sharing it with us! Very interesting. I’m surprised that 99% of the tips are still applicable today. It’s sad that companies no longer refer to the holiday as “Christmas” for the sake of political correctness. I really love this! Thank you so much. Although I live in the Netherlands, I’m sure a lot of my readers will recognize and love this as much as I do. In the next article, I will lead them to this post of you, if that’s ok with you. Have a great day and thanks for that smile on my face. I am going to try #223. I’m always trying to find a spot to lean the broom where it won’t slide & fall down. When I was a little girl, my grandpa had a board with a bunch of glass baby food jars attached like described in #201 that he kept nails, etc. in. I wonder if he read this! #17 — I ended up with powdered candy trying to do a peppermint garnish for a mocha through the coffee grinder. The pulse feature on a food processor works great. Chop,not grind! #221 — I’m glad to say handbag manufacturers have figured this out and often sew in an attachment piece for clipping a key chain inside the bag. I gotta go mail my quarter and dime off to PA now. I always do wonder what would happen if you respond to this type of stuff decades later :) Everything seems to have been mail order back in the day! I love #260! Great idea for keeping necessary items handy without having to search an entire drawer. Our bank still offers a Christmas Club. Last time I checked, it pays 1% interest if you make all the payments. It’s an old fashioned small bank that made it thru the recession without borrowing. Still NOT automated online (at least we don’t have to worry about identity theft! ), they choose to grow slowly & without going into debt. Savings accounts are still handwritten in a passbook like the olden days! However, statements are computerized & mailed monthly. If I want info. regarding a deposit/withdrawal I have to call them. Automatic Payments are still available for paying bills, mortgage, etc. They give a “Free Lifetime Checking & Savings” card to customers so there are no fees or balance requirements but they do charge for other services (bounced checks, wire transfers, etc). Thanx for sharing all of these great tips from back in the day! Yes, the older people like the old banking methods. My mother in law still writes a check for every bill & mails it! I pay all our bills online or thru automatic withdrawal. I write one check & mail it per year for our property taxes & that’s only because they charge an extra fee if we pay it online. My credit union also has a Christmas Club that a lot of people in our small town use, along with a Vacation Club and Property Tax Club. They also have something called a Payday Savers Club, which helps people automate savings for retirement. I haven’t used any as I just budget for these things, but it’s interesting to see how these services hang on in rural communities. Oh my these are great tips! Wisdom comes from old age and experience for sure! I still can’t believe you found this treasure on eBay. I really like the squeaky floor and curtains tips. Thanks for sharing, J! A lot of people don’t know this, but I was a history major in college. Nuggets from the past like this are invaluable. Bringing them back into the mainstream is really a great thing. History tends to repeat itself and a lot of the things you mentioned and wrote about (Christmas clubs, vacation clubs) show the link to today’s present and their relevance to the past. We generally still deal with the same main problems financially. I loved reading about this. Thanks J$! You should check out this old book I once found “Thrift” – from 1875! Just as relevant today as well! Putting blankets into seldom used luggages is a brilliant idea to save space. Now the hard part is to find a place to put those luggages. So much of my time wasted trying to balance the baking sheet when putting it in the over, tisk tisk. Many of these tips are still applicable today. I will try the bricks in a bathtub one next time I go away. I also might fill a mason jar up with ice cubes since I lost my dry ice pack! Probably more about saving *time* and energy on that one so you don’t have to keep sewing them back on again later (due to strength of the floss), but yeah – frugality def gets a bad rap for often not being worth the time sadly! Funny that most of those tips still applicable on today life. The #100 is nice since dental floss are so durable. My credit union still offers a Christmas Club! Although, I automate my Christmas spending with Smarty Pigs. It’s less convenient in the Smarty Pig and I’m less likely to dip into it. Lemme know how it tastes if you do! Was def. curious about that one. I was wondering how to get that darn canary to use the bath bowl…now I know. Thanks! Those are some pretty cool tips. Some of them were funny while others can still be used today. If all frugality tips were as adorable as that canary one, we’d all save a lot more money. Very interest – some good tips that have stood the test of time! I helped put myself through school doing custom sewing for people. DO NOT use dental floss to sew on buttons!!!!! It’s too strong. The floss will cut and tear the fabric, leaving you a bigger mess than just a button falling off. If you have trouble losing buttons you can actually purchase special thread that is thicker and stronger, but won’t cut through fibers like dental floss does. I bought a little spool 15 years ago and am still using it. Fun tips to read. Thanks for sharing them! Oh the Christmas club sounds like a smart way to save…oh right you’re going to spend it by Xmas. XD Let’s just have one called saving to save club!! Yum I can get down on that!!! I love sharing my frugal MacGyvering, I do it once a month in the net worth report! I use a little baby powder to stop squeaky floors. That sounds like a much less damaging way to do it! We may try that one. This book is too frugalicious for me, babe! Sorry, had to share what my head was singing as I read these FAB tips! 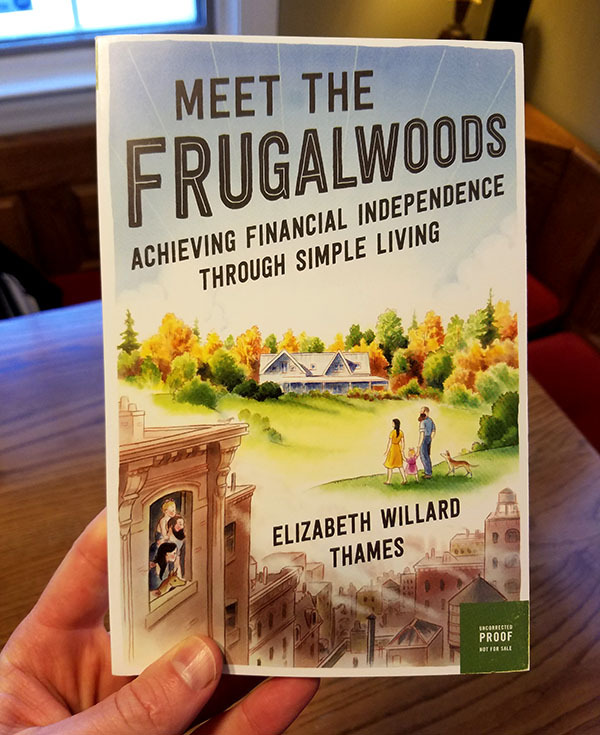 I’m happy that frugaliciousness (I’m trying to live frugally AND deliciously, at the same time – LOL) is beginning to be second nature for me now. These tips, plus me being halfway through ‘The Complete Tightwad Gazette’, will surely keep my pennies and pounds in the right place and re #33, fresh lime works well, too. Some advice is just timeless. Thanks for buying and sharing! The tightwad gazette is fabulous! You will love it. Her writing is spot on. Great tips through out. My dad did the baby food har hack for screw, etc. Thanks for sharing this. Great stuff. Hey I like how to keep your storing summer chairs clean and dust free. I have some that has collecting lots of dust. Gonna use that tip and find some garment bags. Thanks for the tips J!! Thought that was a great one too :) Could probably even use all those disposable bags that comes from the dry cleaners too? I have empty plant pots from all of the plants I’ve killed in the last couple of years. Maybe some grapefruit greenery can survive me. Can’t wait to try it. #29 about a homemade fingernail brush… My grandparents used to go on about brushing fingernails. Heck, we actually had a fingernail brush in the bathroom when I was a kid… but I didn’t use it. I’m going to go out on a limb here and say, people don’t brush their nails anymore! Why is that? Are we cleaner than previous generations? Maybe, not doing as much dirty work? Right, I’m off to put a rubber glove finger on a broom that keep falling down (#223). Haha…. I don’t know about the nail brushing, but I would agree that we’re cleaner than previous generations! At least going back to the colonial times… I do a lot of reading about the late 1700’s, early 1800’s and they believed bathing was actually *bad* for you (despite everyone dying of disease all around them), so they only bathed twice a year. Can you imagine?? Loved reading all those tips. Thanks for sharing. My teachers credit union still has a Christmas club. Your teachers credit union needs to be awarded! The Christmas Club. I had one when I was a kid. Every week I put a portion of my allowance in my Christmas Club account. By Christmas I would have $50 to spend on gifts for mom, dad and grandparents, like a soap-on-a-rope for Pop or a Jean Nate for grandma. The tip about using an old toothbrush as a nail scrubber……EWW. I think I’ll break down and spend a few bucks on a real one. I need to try this right the hell now! Thanks for the tips! A little late to the party here but needed to comment. You know when you have those moments where you go “That’s crazy I was just talking about this!”? Last Friday I was sitting in a pub in Wesendorf Germany for a birthday party. Every so often someone would walk into the pub, not say anything to anyone, go to the wall and shove some money into what looked like a small bank of mail boxes and then leave. Being from Canada I had no idea what it was all about. When I asked one of the people I was with what was going on he explained the Christmas box to me. Apparently this used to be a big deal when interest rates were higher but some people do it still today regardless, but the premise behind it is you have to deposit every week and then right before Christmas you get the deposits back plus interest so you can buy gifts. Every time you miss a payment there is a small penalty. I thought it was a pretty neat idea. Life is crazy, just last week I see this for the first time and then today I read about it on my favorite PF blog. It almost looked like a miniature mailbox like you see on the main floor of an apartment building, but much smaller. It only had maybe 30 boxes and each box had a small slot in it. The boxes couldn’t be much more than 3″x3″x6″. The people really had to fold up bills to get them shoved in the small slots. The money is counted by the bar man who is also the owner each week. There is a minimum amount of money that has to be deposited weekly and for every time you didn’t deposit there is a small penalty when the money is taken out before Christmas. By the sounds of it you can’t take money whenever you want, there is one specified day in December, the whole purpose was to have a way to buy Christmas presents, hence “Christmas Club”. This was a fun list, even if a few of them were odd. I don’t use a shower cap, and I don’t think salad dressing made from ketchup sounds very appealing. Although I’m not a big ketchup fan to begin with, anyway. I’m dying to know the typewriter hacks, though. #66 Peanut butter with anything is life. I will try this one and see how it works out…looks promising! Sorry, late in commenting, but I wish I’d known about #284 and the wet finger print this past weekend. I could have used that! I also struggle with squeaky floors so #47 might be interesting. For #66, I grew up eating peanut butter & honey so maybe my mom read this booklet! Def. trying that wet finger idea myself as we move into our new home and start adding things up…. very clever!